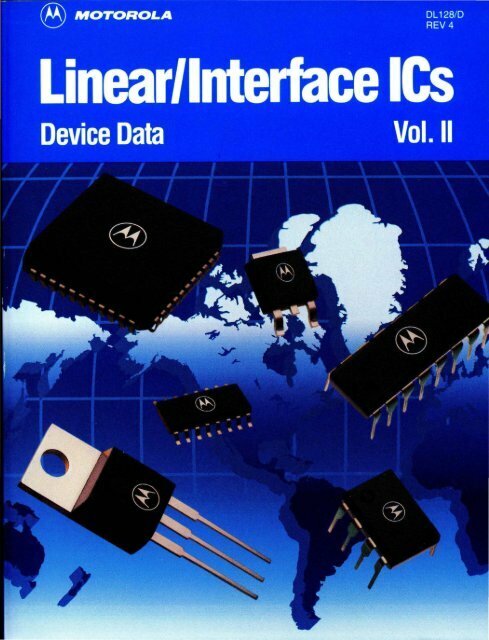 M01'OROLA LINEAR/INTERFACE ICs DEVICE DATA This publication presents technical information for the broad line of Linear and Interface Integrated Circuit products. Complete device specifications are provided in the form of Data Sheets which are categorized by product type into ten chapters for easy reference. Selector Guides by product family are provided in the beginning of each Chapter to enable quick comparisons of performance characteristics. A Cross Reference chapter lists Motorola nearest replacement and functional equivalent part numbers for other industry products. A chapter is provided to illustrate Package Outline and includes information on Surface Mount Devices (SMD). Additionally, chapters are provided with information on Quality program concepts, high-reliability processing, and abstracts of available Technical Literature. The information in this book has been carefully checked and is believed to be accurate; however, no responsibility is assumed for inaccuracies. Motorola reserves the right to make changes without further notice to any products herein. Motorola makes no warranty, representation or guarantee regarding the suitability of its products for any particular purpose, nor does Motorola assume any liability arising out of the application or use of any product or circuit, and specifically disclaims any and all liability, including without limitation consequential or incidental damages. "Typical" parameters can and do vary in different applications. All operating parkmeters, including "Typicals" must be validated for each customer application by customer's technical experts. MotOrola does not convey any license under its patent rights nor the rights of others. Motorola products are not designed, intended, or authorized for use as components in systems intended for surgical implant into the body, or other applications intended to support or sustain life, or for any other application in which the failure of the Motorola product could create a situation where personal injury or death may occur. Should Buyer purchase or use Motorola products for any such unintended or unauthorized application, Buyer shall indemnify and hold Motorola and its officers, employees, subsidiaries, affiliates, and distributors harmless against all claims, costs, damages, and expenses, and reasonable attorney fees arising out of, directly or indirectly, any claim of personal injury or death associated with such unintended or unauthorized use, even if such claim alleges that Motorola was negligent regarding the design or manufacture of the part. Motorola and ® are registered trademarks of Motorola, Inc. Motorola, Inc. is an Equal Opportunity/Affirmative Action Employer. Printed in U.S.A. Series H First Printing © MOTOROLA INC., 1993 Previous Edition © 1990 "All Rights Reserved"
New Product Literature Chapter 2 has an addendum providing applications information on operational amplifiers. The applications information which formerly appeared in the Motorola LinearlSwitchmode Voltage Regulator Handbook (HB20S) is now included as an addendum to Chapter 3. . An addendum covering RF applications information has been added to Chapter 8. The Surface Mount Technology in Chapter 12 has been expanded to include Multiple Package Quantity (MPQ) information for surface mount and TO-92 packages shipped in Tape and Reel or Ammo Pack Styles. Mechanical Polarization drawings for the TO-92 (TO-22SAA) in tape and reel plus the ammo pack styles have also been added to Chapter 12. Product Preview Data Classification This heading on a data sheet indicates that the device is in the formative stages or in design (under development). The disclaimer at the bottom of the first page reads: "This document contains information on a product under development. Motorola reserves the right to change or discontinue this product without notice." Advance 'nformation This heading on a data sheet indicates that the device is in sampling, pre-production, or first production stages. The disclaimer at the bottom of the first page reads: "This document contains information on a new product. Specifications and information herein are subject to change without notice." Fully Released A fully released data sheet contains neither a classification heading nor a disclaimer at the bottom of the first page.  This document contains information on a product in full production. Guaranteed limits will not be changed without written notice to your local Motorola Semiconductor Sales Office. C-QUAM®, Designer's, MDTL, MECL, MECL 10,000, MONOMAX, MOSAIC®, MRTL, MTTL, MOSFET, SENSEFET, SLEEP-MODE, SMARTMOS, Switch mode, and ZIP-R-TRIM® are trademarks of Motorola Inc.